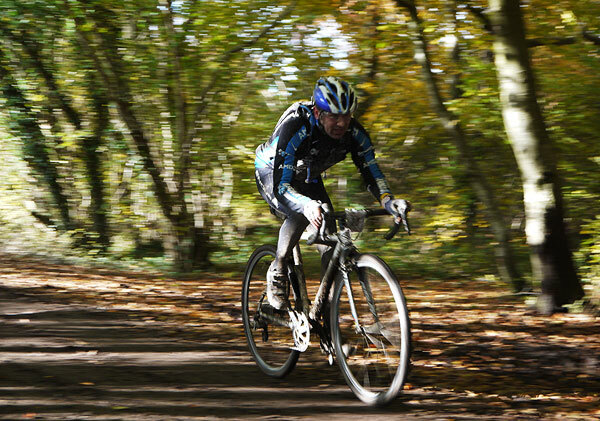 The Wildwood CX Sportive is clearly on course to be the biggest in the short history of the event series. The Woodcote based event, in the Chiltern Hills north of Reading, runs for it’s third year on January 27th. The event attracted 500 riders in 2012, and organisers The Cycle Events Organisation have announced that it is already selling faster this year, and expected to fill it’s 600 rider capacity. The CX Sportive format is unashamedly inclusive, attracting riders from both road and MTB backgrounds, as well as dyed in the wool cyclo-crossers looking to extend their season. The winding Chilterns course for the Wildwood CX is the epitome of what this sort event should be; fast-paced and varied, switching regularly from tarmac to dirt to keep you on the ball and entertained throughout. 40, 60 and 80km route choices make it ideal for any rider, and the mixed terrain course design opens it up to all sorts of different bikes; great for CX and 29ers, ideal for a fast MTB or capable hybrid; even your winter road hack could tackle it, with a change of tyres! Berkshire’s no.1 independent bike shop AW Cycles have announced they will be supporting the event too. The Reading based shop will have a stand at the event centre, stocking those last minute essentials, plus a few extra goodies, and the AW Team van will be providing rider and mechanical support out on the course to keep you moving. The event also features comprehensive route signage, a manned feed and support station, RFID ride timing, free TORQ energy drink and full catering at the event base. The Exmoor Beast – a classic? 10 July 2012 Admin Comments Off on The Exmoor Beast – a classic?